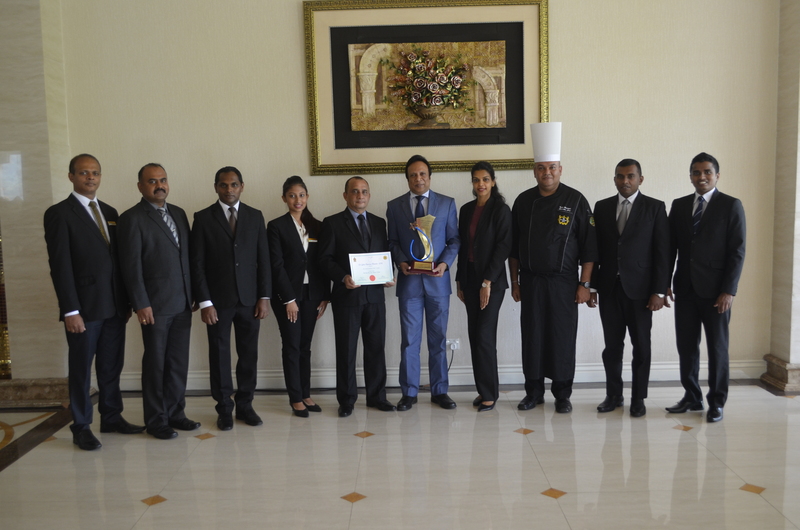 The Grand Kandyan wins “Best Five Star Resort Hotel” at the National Tourism Awards held recently at the Shangri-La Colombo. The event was organized by the Sri Lanka Tourism Development Authority. The Grand Kandyan is a luxurious five star hotel located in Kandy with a picturesque view of a continuous mountain range on one side and an equally fascinating view of the cityscape below on the other. Situated minutes away from the UNESCO World Heritage site of the most venerated “Sri Dalada Maligawa” or referred to by travelers as the Temple of the Holy Tooth Relic which sits amidst a premier shopping area. 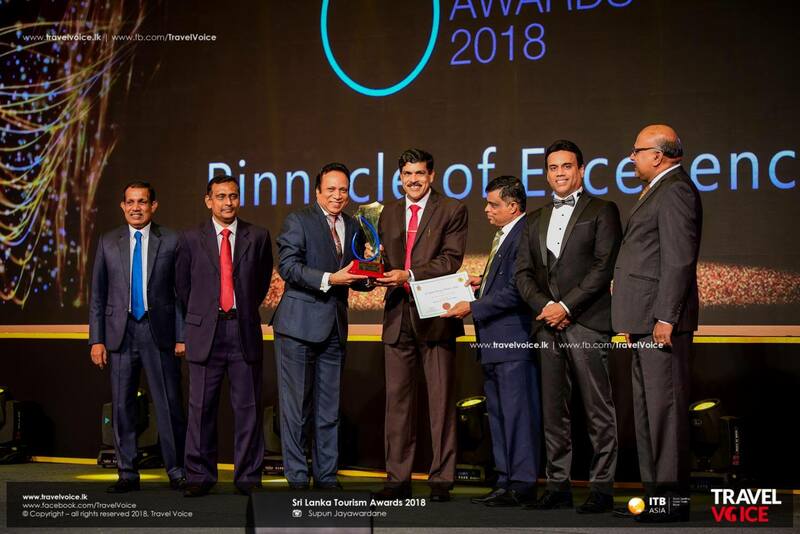 The proprietor of the Grand Kandyan Mr. Gamini Weeraratne, is a recognized entrepreneur and is the Chairman of the diversified Devon Group of Companies which has gained fame in Kandy and suburbs for operating many restaurants and a string of catering outlets. 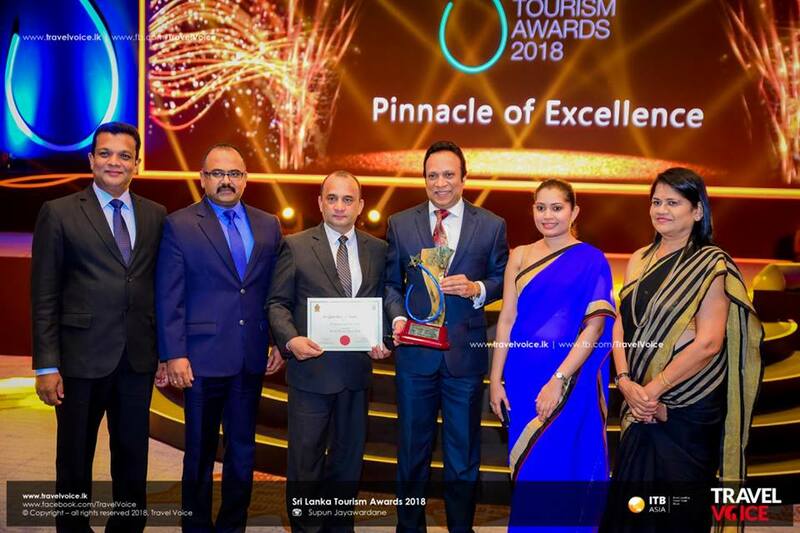 The pioneer General Manager of the hotel Mr.Thusith Samaraweera who is a well-known hotelier and has been a recognized flag bearer in the local leisure industry for over many years. 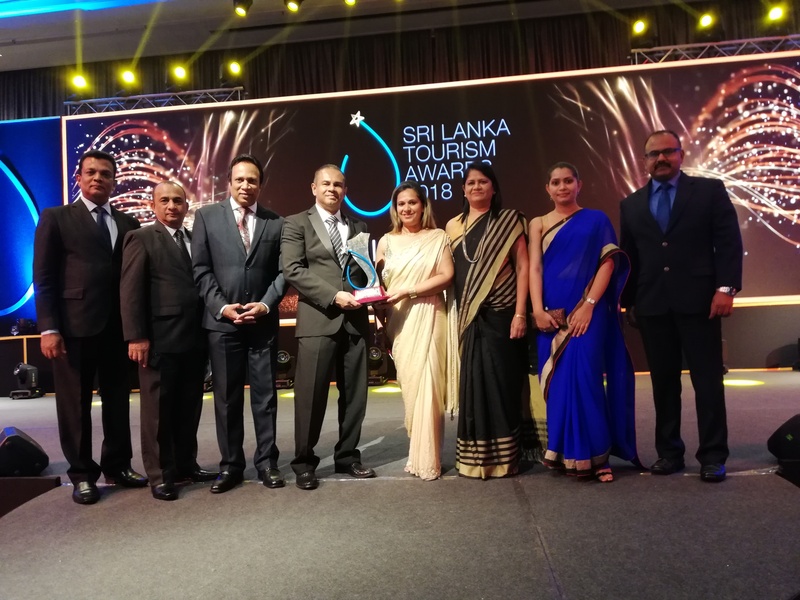 The hotel commenced its operation in October 2014 and was able to obtain 5-Star status from the Sri Lanka Tourism Development Authority and Standards Certifications of ISO 22000, HACCP & GMP from the Sri Lanka Standards Institute within a short period of two years of its operation. The hotel also received the “best star award” from the Department of Industrial Development & Enterprise Promotion of Ministry of Industries -Central Province in 2016 and 2017 respectively.